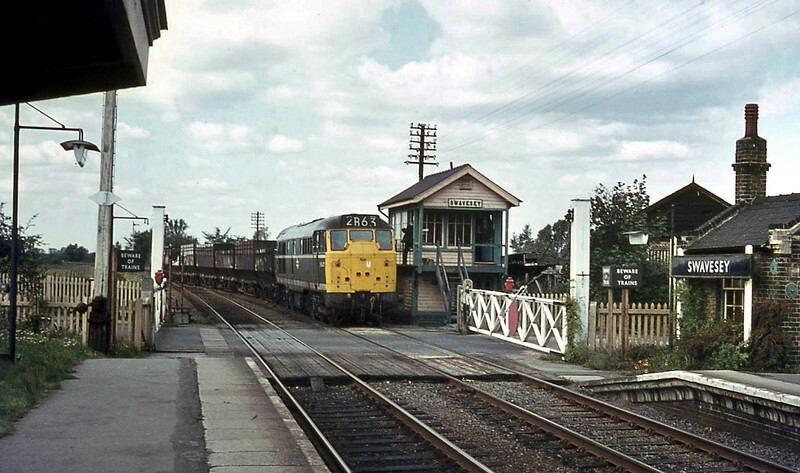 A lovely shot of Swavesey on the last day of passenger operations, 3rd October 1970. The driver of a class 31 is handing over the single line token for the Swavesey-St Ives single line section. Nothing remains today of this scene. Photo with kind permission of Ian Baker.